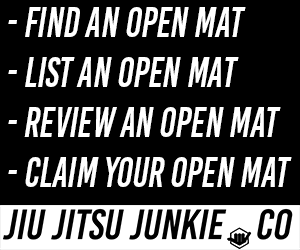 Apply some pressure in your Jiu-Jitsu game – Let them feel the squeeze! Pressure is the cornerstone of BJJ, apply pressure to force a mistake and then capitalise. It’s one of the first few things we’re taught as grapplers, whether is be exerting physical pressure or being relentless though mental pressure. There are many ways you can pass guard, standing up, aggressively passing through speed and of course pressure. We take a look at the few different types of pressure passes you can implement into your game. “Make your opponent want to tap from the pressure of your pass” – Victor Estima. The double-under stack is probably my favourite way to pass guard. The sense of being able to control someone and make it uncomfortable is somewhat sadistic but unlike anything else. Demian Maia doesn’t just dominate the UFC with his awesome BJJ skills, he’s also a great fighter in the gi. In the video above from his DVD series The Science of Jiu-Jitsu Damian shows some great details in the stack pass. My favourite reason for the stacking guard pass is the added choke you can get during transition. Hulk Smash! A favourite of the big boys the smash pass often allows you straight pass into mount. Below BJJ legend Xande Ribeiro shows some really clever details for the smash pass. The smash pass can be used in a lot of situations. Rafael Lovato Jr has an entire DVD series on the smash pass so you might just calling the king of smash! Anyway, here he is showing a smash pass against quarter guard. I like to call this “The Shoulder of Justice” as you can really find out what someone is made of when they’ve got a lot of pressure on their face. Honestly I think it’s an under-used technique, especially in the gym where you’re afraid of hurting your training partner, but hey a bit of teeth grinding now and again never hurt anyone. Pressure causes mistakes and mistakes allow transitions. Keep applying the pressure and you’ll be dominating in no time! 02/02/14 – You shall not pass!